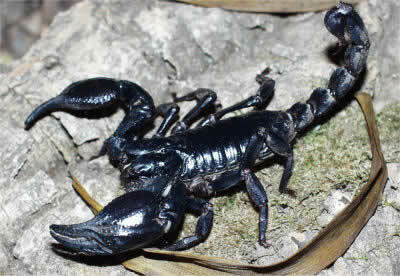 The emperor scorpion Pandinus imperator is a species of scorpion native to Africa. 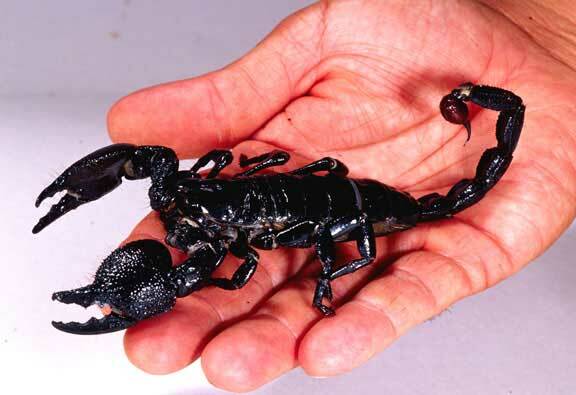 It is one of the largest scorpions in the world and lives for 6–8 years. Its body is black, but glows under ultraviolet light. It is a popular species in the pet trade, and is protected by CITES. 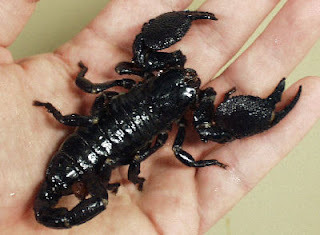 The emperor scorpion (Pandinus imperator) is one of the largest species of scorpion in the world, with adults averaging about 20 centimetres (7.9 in) in length. 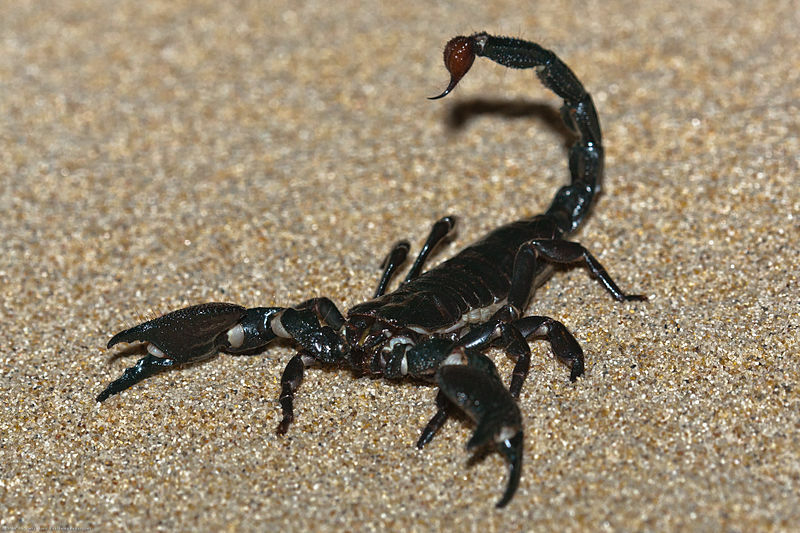 However, some species of forest scorpions are fairly similar to the emperor scorpion in size, and one scorpion, Heterometrus swammerdami, holds the record for being the world's largest scorpion at 9 inches (23 cm) in length.